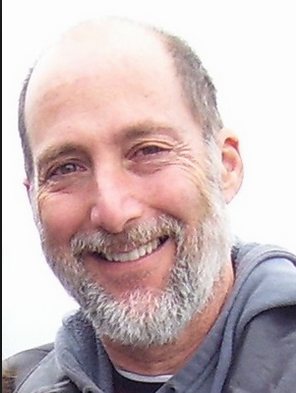 EDITOR’S NOTE: Points is pleased to welcome Tom Shroder, editor and author of the recently released book Acid Test: LSD, Ecstasy, and the Power to Heal (Blue Rider Press, 2014). 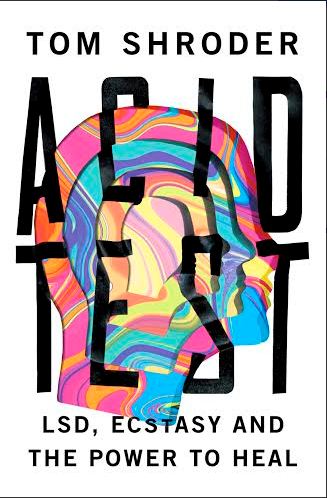 Acid Test covers the history of psychedelic drug research from the 1950s through the present. You probably thought that LSD, Ecstasy and magic mushrooms were first and foremost drugs of abuse. In fact, from the discovery of LSD in the late 1940s until the advent of Tim Leary in the mid-1960s, psychedelics were considered to be a revolution in psychiatry, showing the ability to alleviate or even cure a wide range of chronic, treatment-resistant conditions — from anxiety and depression to drug, alcohol and tobacco addiction, to what would become known as PTSD. They even showed promise in dramatically alleviating garden-variety neuroses and anxieties among otherwise healthy people, as well as in marital and family counseling, and even in dealing with autism. LSD did this not as a part of a long term drug program, but through dramatic, often transcendent experiences while taking the drug from a handful of times to even a single time. Full-blown, life-changing mystical experiences were not uncommon. And though there were some risks — acute attacks of anxiety that, if mismanaged, could lead to hospitalization and rarely psychotic breaks or even suicide attempts — studies of thousands of cases where the drugs were administered in controlled settings by medical professionals demonstrated a remarkable degree of safety and efficacy. All that ended abruptly when psychedelics got caught up in the counter-culture and authorities reacted with a throw the baby out with the bathwater response — effectively shutting down all research for 30 years, while abuse of the drugs continued largely unchecked. Acid Test uses that oft-forgotten history as background. The foreground is the story of those who struggled against absurd odds to bring this research back to the mainstream of science, succeeding remarkably and now on the verge of the final stage of making these treatments legal once again at a time when half a million US veterans have returned from a decade of war with severe, crippling PTSD, for which the existing treatments are far too likely to fail. This story is told as a completely factual novel, a multi-decade epic, with three major characters: Rick Doblin, the founder and executive director of the Multidisciplinary Association for Psychedelic Studies (MAPS), who has been fighting government prohibition of psychedelics for more than thirty years; Michael Mithoefer, a former emergency room physician, now a psychiatrist at the forefront of psychedelic therapy research; and his patient Nicholas Blackston, a former Marine who has suffered unfathomable mental anguish from the effects of brutal combat experiences in Iraq. All three men are passionate, relatable people; each flawed, each resilient, and each eccentric, yet very familiar and very human. As the above should indicate, this is dead down the center of their strike zone. So, swing away, by all means. I think what ultimately interests me most is how clear it became that it is the transcendent experience, not the drug itself, that has the power to heal. There have always been people who had these types of mystical experiences naturally, without drugs, and exhibited dramatic and positive life changes as a result. And for thousands of years, cultures around the world have found way to catalyze these experiences for the mental health and spiritual growth of their members — often but not always involving some form of psychedelic. That modern, carefully controlled science is proving the worth of such experiences interests me greatly. This research needs to be supported, and funded, but a government on the hook for an estimated trillion dollars of disability and health costs for veterans (who earned it the hard way) over the next thirty or forty years has not contributed a dime so far. I want to see how the DOD and VA react as the science proving the efficacy of this relatively inexpensive treatment mounts. There IS an audio version, and the guy who reads it is unbelievably great! His name is Arthur Morey.